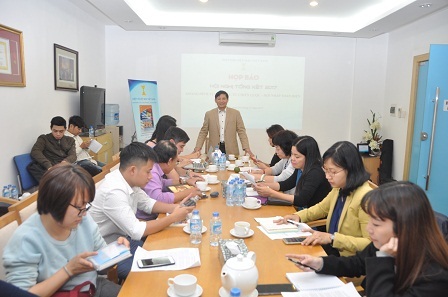 In the afternoon of December 4, the Vietnam Textile and Apparel Association (Vitas) held a press conference to inform about the import and export activities of the industry in 2017 and the development strategy in 2018. 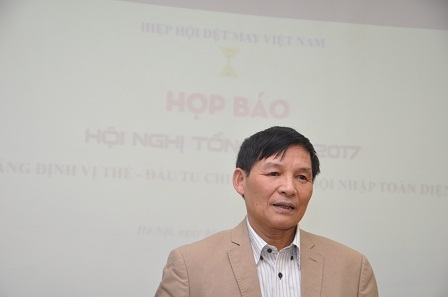 In 2017, the textile and garment industry in Vietnam is facing many difficulties and challenges with the pressure of TPP trade agreement is stopped together with the import and export of textile and garment in late 2016 and early 2017 unfavorable. . From the second quarter of 2017, with determination and efforts, the Vietnam Textile and Apparel Industry has gradually stabilized, overcome the challenges and fulfilled the target set for the whole 2017. In the second half of this year, the export value of the textile and garment sector reached USD 5.27 billion, increasing by USD 31 billion, increasing by 10.23% compared to 2016. The textile and garment export turnover was USD 25.91 billion, 7% compared to 2016; textile exports reached $ 1.07 billion, down slightly by 0.65%; Export of fiber reached $ 3.51 billion, up 19.93% in value over the same period last year. The total import value of textile and apparel NPLs in 2017 is estimated at USD 18.91 billion, up 11.43% against 2016; textile import is USD 11.2 billion, up 6.85%; cotton import reached 2.4 billion USD, an increase of 44.35%; Imported fiber reached $ 1.76 billion, up 9.45%; Imports of textiles and garments reached USD 3.55 billion, an increase of 10.35%. The trade surplus reached US $ 15.51 billion, up 7.15% over 2016. In addition to maintaining good growth in key export markets such as the US, the EU, Japan and South Korea, the sector has been striving to diversify its markets and make a breakthrough in the markets. In addition to the traditional textiles, high value-added items such as fabrics, fiber, geotextile and garment accessories have also increased. Chief very well. Truong Van Cam, Vice President of Vitas, said that in order to achieve these successes, the entire industry has applied the most effective corporate governance technology, especially the step-by-step introduction of 4.0 technology into operation. To increase production capacity, to create better quality products and achieve higher added value. Vitas has made great efforts in developing trade promotion programs, professional training, training, sharing of experiences on productivity enhancement, application of revolutionary 4.0 revolutionary production models. Towards a sustainable development in the industry. In particular, Vitas has proposed the Government to adjust the salary mechanism, insurance, administrative procedures, specialized inspection, contributing to reducing difficulties for the operation of enterprises. Regarding the investment strategy of the sector, although the investment in textile and garment has decreased markedly in late 2016 and early 2017 due to the influence of TPP but starting from quarter II / 2017, especially quarter IV Investment in textiles and garments has grown very well. This reflects the belief of both domestic and foreign investors in the development strategy of the textile and garment industry in Vietnam will be stable and sustainable. Parallel with solutions for export development, the whole sector also focused on building solutions for the development of the domestic market, building the brand of fashion in Vietnam.